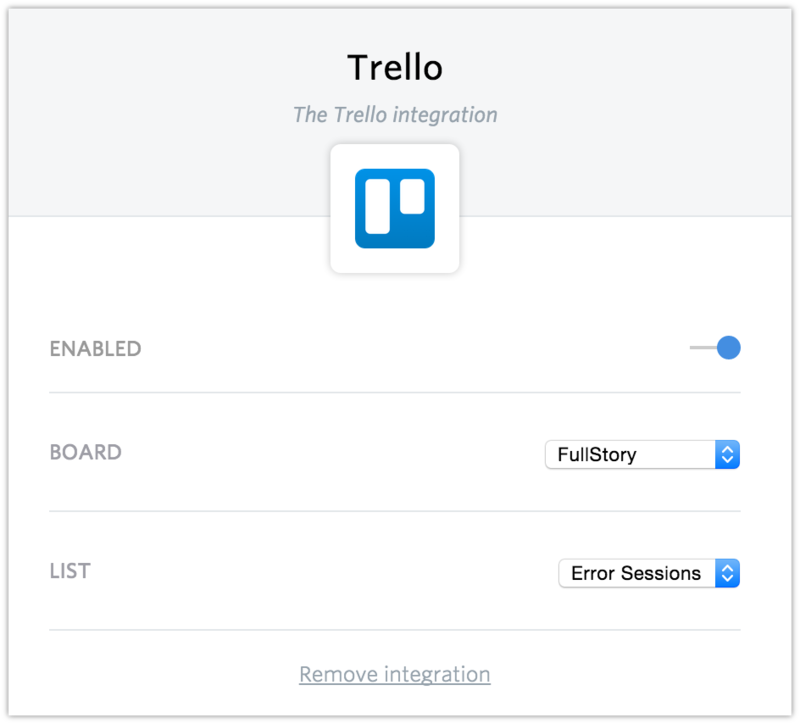 FullStory integrates with the popular team productivity tool, Trello, by allowing users to share noteworthy sessions directly to a Trello board as a card. Click the Add button next to Trello. 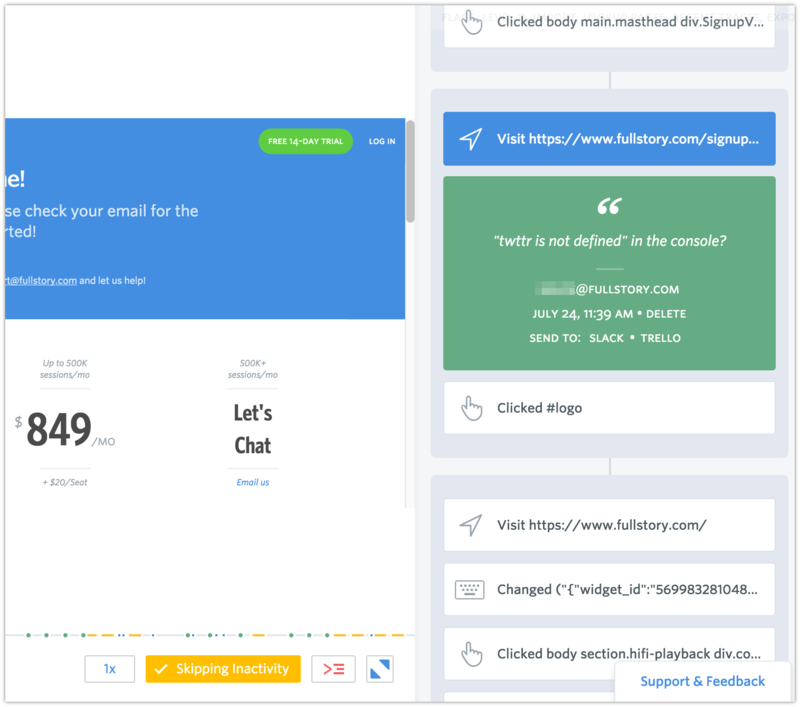 Click the Authorize button, which will launch a new window (you may need to temporarily disable ad blockers if you have them installed) and open a Trello permissions dialogue. 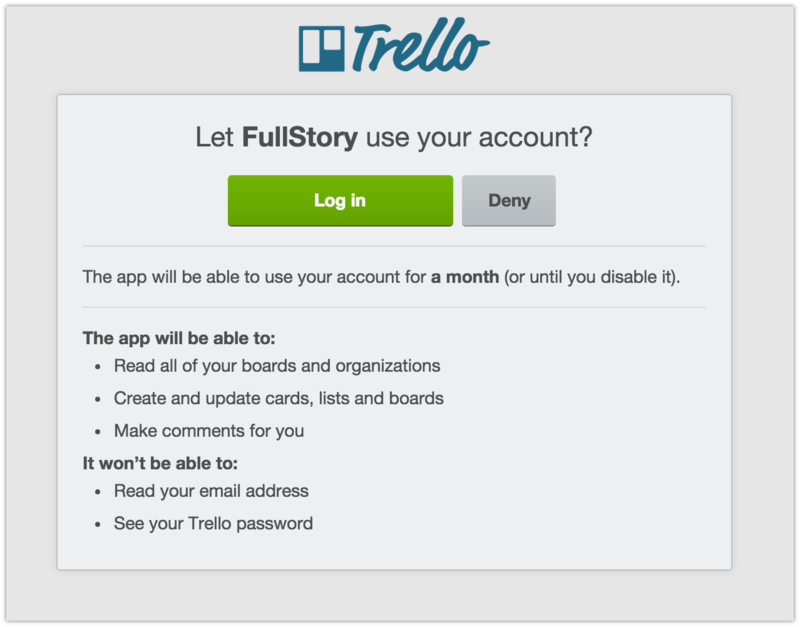 Choose Log in to let FullStory use your Trello account. Once you've given permission, return to the FullStory window to choose a board and list where new Trello cards will be created. You can also enable and disable the integration from this dialogue. Click on the Notes tab below the OmniSearch box to view your team's shares. Within each note, you'll see Send to:Trello. 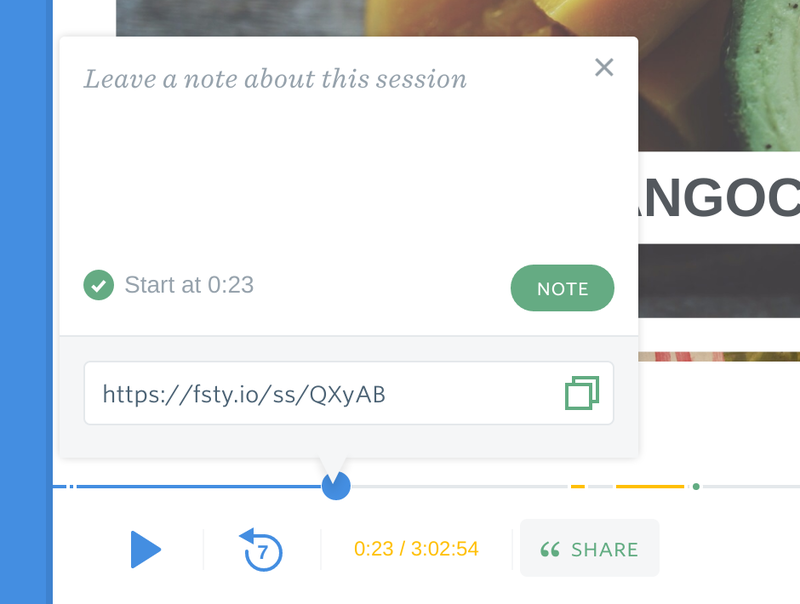 Click the Trello link and the note will instantly be shared!